The Canadian Radio and Television Commission (CRTC) made the news on June 29, 2015. So did Porter Airlines. “Porter Airlines Inc. agrees to pay $150,000 for allegedly violating Canada’s anti-spam law”, read the headline on the CRTC’s news release. It’s a rather curious choice of words. ‘Allegedly’ indicates that the charge against Porter of violating the anti-spam law hasn’t been proven. “Agrees to pay’ implies that Porter wasn’t fined. So why is Porter Airlines so amenable to coughing up $150,000 for something that they may or may not have done under the anti-spam legislation? 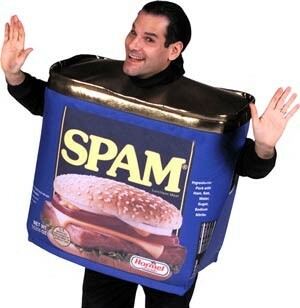 Bill C-28 – informally called Canada’s Anti-Spam Legislation (CASL) received Royal Assent in December 2010. The law came into force on July 1, 2014, a day short of a year ago. Its basic tenet is to protect anyone from receiving unwanted electronic communications. It requires anyone sending business solicitations to secure the receiver’s consent and to provide a clear way to stop the solicitations. The alleged allegations took place in the seven months between July 2014 and February 2015. Porter spokesman Brad Cicero, who is not one of the Magnificent Seven, blamed the spam on technical problems. Allegedly, the airline was switching over email platforms, which caused ‘isolated errors’, which, in turn, meant that Porter was unable to provide proof that it had obtained consent for each electronic address that received Porter’s commercial emails in the seven months from July, 2014 to February 2015. A $150,000 agreement cost to Porter but it could have been worse. CASL allows for a two maximum fines: $1,000,000 and $10,000,000. Finally, Porter Airlines is unlikely to be serving spiced ham (spam) in any of its free world-famous, on-board, high-end sandwiches.